Tulsi Puja, also known as Tulsi Shaligram Puja, is observed during the waxing phase of the moon in Kartik month as per traditional lunar calendar. Tulsi Puja 2019 date is November 9. Tulsi, Holy Basil, is associated with Lord Krishna and is found in the majority of Hindu homes and is worshiped daily. The date of Tulsi Puja is November 8 for those observing it on Utthana Ekadasi. November 9 for those communities observing it on Karthika Shuddha Dwadashi or the day after Ekadasi. Some communities observe it on Kartik Purnima, which is on November 12. Please note that the ritual can be observed on any date between November 8 and November 12. Tulsi Puja is usually performed between Karthik Shuddh Ekadasi and Kartik Purnima. The main ritual involves the wedding of Tulsi Plant to Lord Vishnu in the form of Shaligram. Tulsi Pooja also marks the end of Diwali fortnight for many communities. It is believed in Hinduism that Lord Vishnu goes to sleep on Ashada Shukla Paksha Ekadasi (June - July). He then wakes up on Kartik Shukla Paksha Ekadasi (October - November). There is a popular belief after waking up, he first listens to Tulsi. This is the reason why Tulsi Puja is performed on the next day of Kartik Shukla Paksha Ekadasi. A person performing Tulsi Vivah puja gets the same punya as performing Kanya Daan or marriage of a daughter. It is believed that all problems in marriage will be solved by performing Tulsi Vivah. Couples who are finding difficulties in marriage should perform Tulsi Puja. 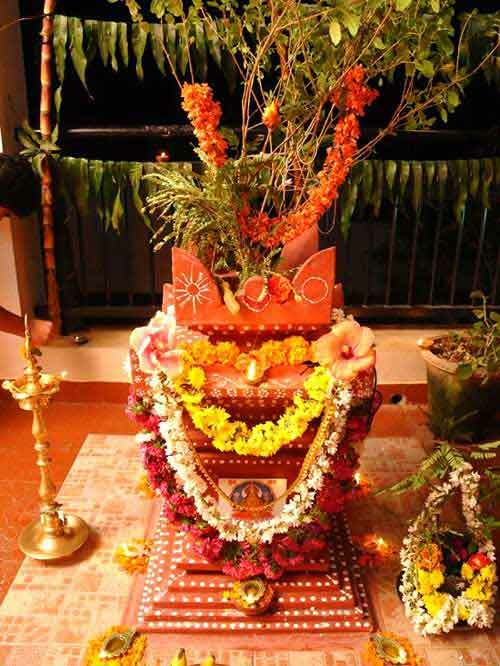 How to perform Tulsi Vivah?